PRAIZHOUSE: MALIMUSIC DROPS A SAMPLER OF HIS MALI IS .. ALBUM. MALIMUSIC DROPS A SAMPLER OF HIS MALI IS .. ALBUM. 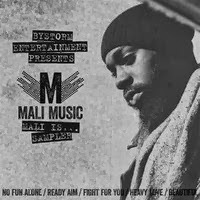 Malimusic drops a sampler of his forthcoming ''Mali Is....'' album on his Soundcloud page,it includes his hit single ''Ready Aim'' and four other songs like ''Beautiful'' ,''Fight For You'', ''Heavy Love'' and ''No Fun Alone''. Listen to ''Beautiful'' after the cut.